Michelle's Handcrafting Blog: One size fits all. Hope you all had a lovely Easter, I stuck to my plan and only ate a couple of creme eggs, yes I know booooorrring, but I just did not feel like munching my way through a mountain of eggs, like I seem to do year after year. I did however make a coupIe of bracelets over the weekend and thought I'd share some handy tips about them with you, especially if your looking to buy a bracelet for a gift. If you don't know the lucky persons wrist size, then maybe a memory wire bracelet, could solve your problem. Memory wire bracelets are bracelets that are made with a strong wire that retains it's shape and is a 'one size fits all' type of bracelet. All you have to do is loop it around the wrist and it curls into bracelet sized coils and you can have any number of coils. 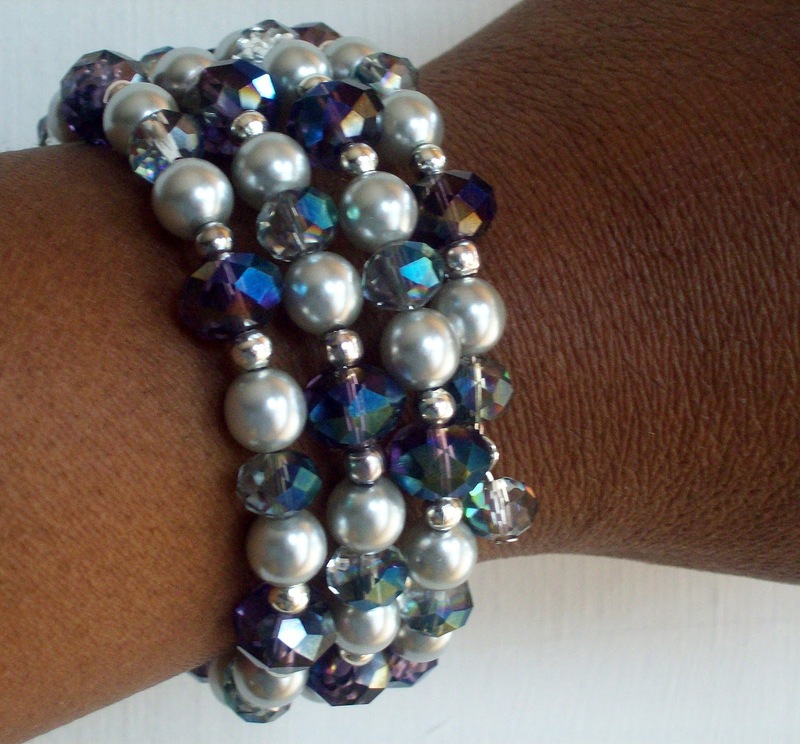 This is a silver crystal memory wire bracelet that I made at the weekend, this one has 4 coils and is made with silver czech glass pearl beads and purple and silver faceted crystal beads. This one has 6 coils and has a vast selection of beads in different shapes sizes and colours, too many to mention. Another good﻿ point about memory wire bracelets, is that if the person your buying the gift for, has a problem with opening and closing clasps, there are no clasps to worry about on any of these bracelets. 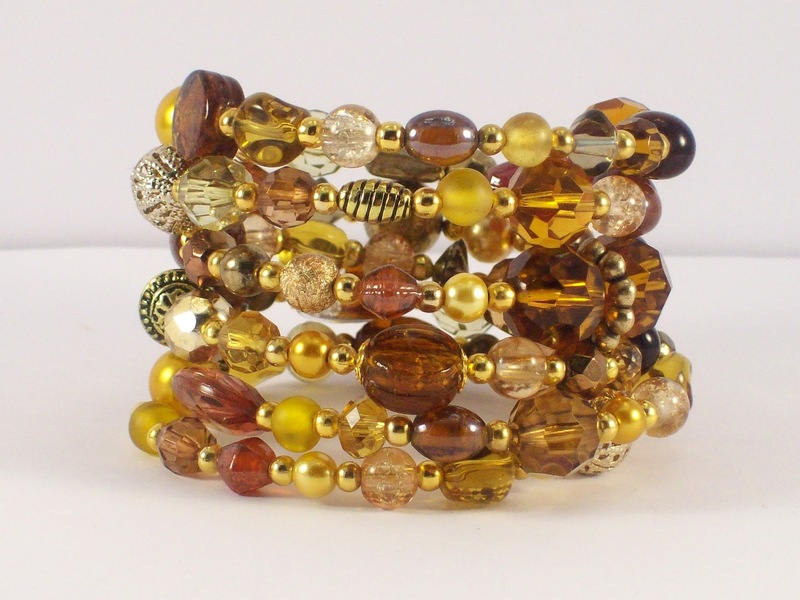 Lovely bracelets Michelle and great that they can fit all sizes!